Ostrich husbandry to a police ride-along. Musings of the sea to observations of the universe. 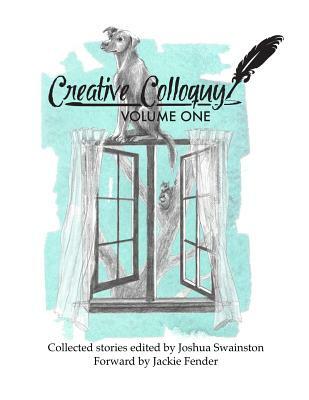 Creative Colloquy Volume One brings together a selection of transformative fiction, insightful essays, and enlightening poetry from the literary revolution occurring in the South Puget Sound. From sobering confessions of motherhood to the importance of being musically literate, you are guaranteed to read tales within these pages that will connect with you. Creative Colloquy's mission is to showcase the talented scribes of Western Washington while acting as a platform to facilitate expression and conversation within the writing community. This book is the physical manifestation of that mission.